Which is best value hotel near Camp Nou? 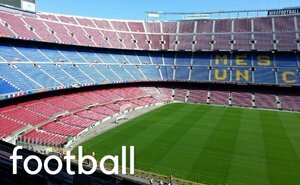 Guide to the best hotels near Camp Nou stadium in Barcelona that is the home ground of FC Barcelona football team. 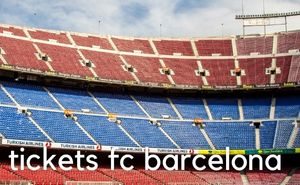 Buy tickets Barcelona games at Camp Nou in Barcelona. The map below which shows the location of all popular hotels and apartments near Camp Nou Stadium. These hotels are by the stadium either within walking distance to Nou Camp or they are near a metro or tram line close to Camp Nou stadium. Barcelona is not a very big city so you can also stay at hotels in Barcelona downtown area and easily get to the stadium by taxi or public transport. The new L9 metro connects Barcelona airport with Collblanc metro station, which is the nearest metro to Camp Nou. For Barça Fans hotels near the stadium are a convenient choice. The nearest 5 star hotel to the Camp Nou is the Sofia Barcelona - rated WONDERFUL by guest reviews - which is on Barcelona's Diagonal Avenue and just a 5-minute walk from the Camp Nou. To book rooms just click on the the hotel icons on the map and then the hotel links. You must use your credit card to make your booking reservation, but your credit card will usually not be charged until you check out of the hotel. Hotel Madanis ★★★★ 4 star hotel. Rated Good by guest reviews. Nearest hotel to Camp Nou stadium. The Hotel Madanis actually faces the Camp Nou stadium and is a new and modern hotel with clean and comfortable rooms and very friendly staff. It is 350m / 4 minutes walk to Camp Nou and the same to Collblanc metro station. New and modern hotel with clean and comfortable rooms and very friendly staff. Hotel Catalonia Rigoletto ★★★★ 4 star hotel. Rated Very Good by guest reviews. Stylish hotel Catalonia Rigoletto has very clean, stylish, soundproofed spacious rooms and is just 900m / 11 minutes walk to Camp Nou stadium and 400m / 5 minutes walk from Maria Cristina Metro Station. Spacious rooms are air conditioned with free WiFi and flat-screen TV. Facilities include seasonal outdoor pool. AC Hotel Victoria Suites ★★★★ 4 star hotel. Rated Fabulous by guest reviews. Beautiful and stylish suites in Pedralbes, an upmarket residential area near a main business district. It is 1,1km / 15 minute walk to Camp Nou stadium and 650m / 8 minutes walk to Maria Cristina metro station. Facilities include large terrace-bar, quality restaurant, friendly staff and large luxury suites. FC Barcelona's "Estadi Camp Nou" stadium is about 20 minutes from the downtown city centre of Barcelona in the area of Barcelona called "Les Corts." Camp Nou stadium is easily accessible by metro, bus and tram, so you can also book hotels in downtown Barcelona and go to the Camp Nou stadium by public transport or taxi. Our FC Barcelona ticket service also sometimes offers a free bus to Camp Nou, which departs from the gothic area of Barcelona.